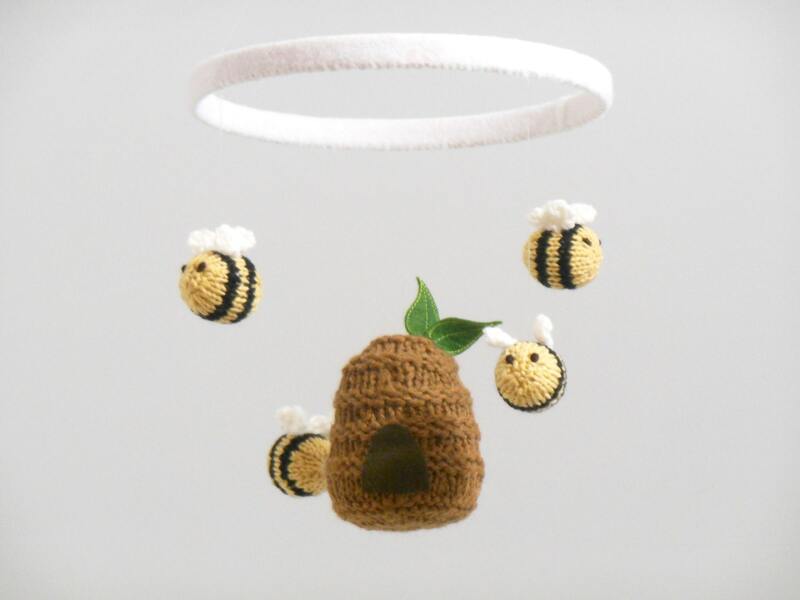 Your little one will delight in watching these happy bees flying about. 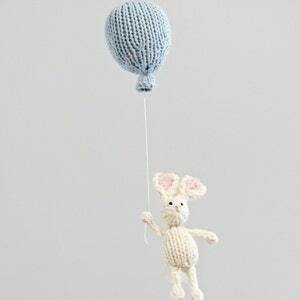 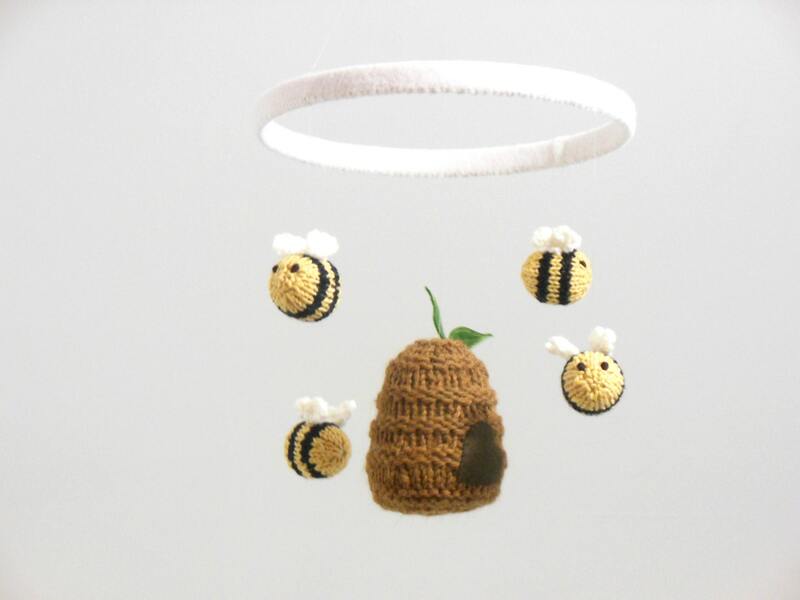 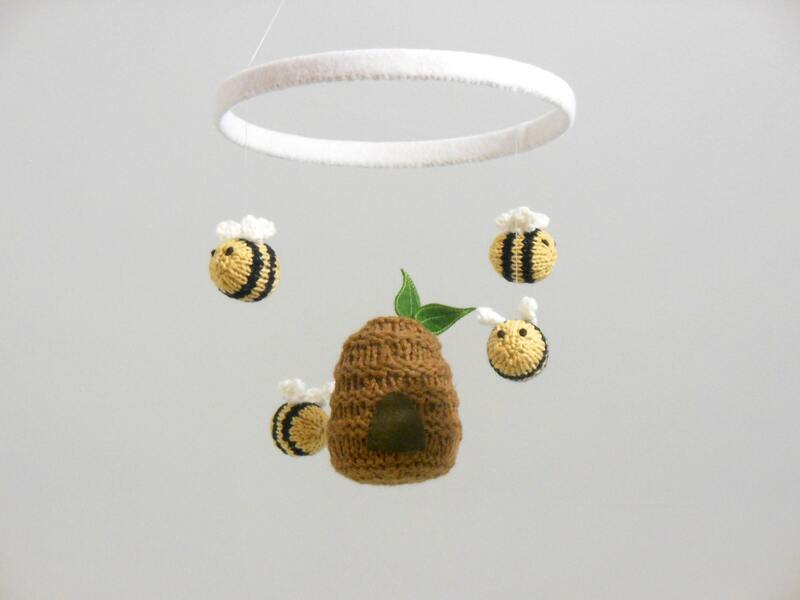 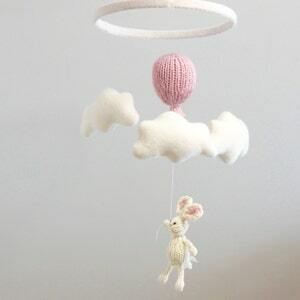 This bee and beehive mobile will make a perfect addition to any room, playroom or nursery. 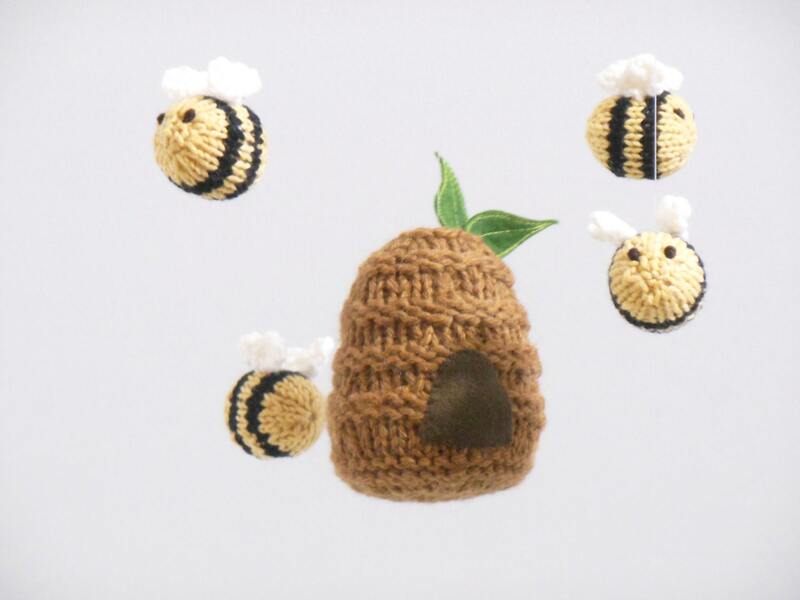 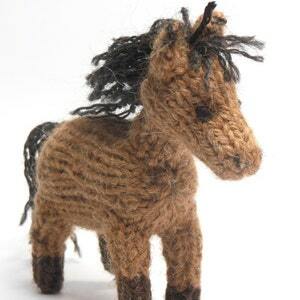 The beehive and each bee is hand-knit, embroidered, and stuffed with high-quality natural and eco- friendly fibers. 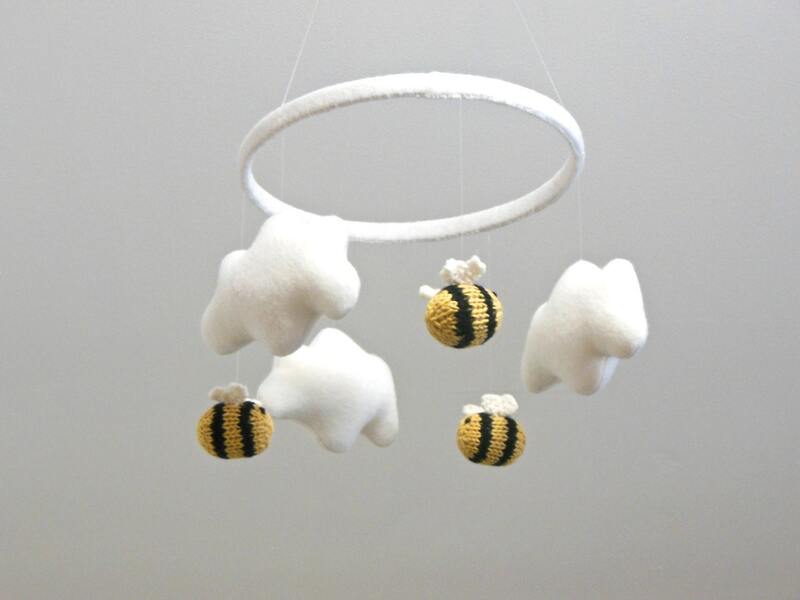 The 8" diameter wooden hoop is covered with matching white wool felt. 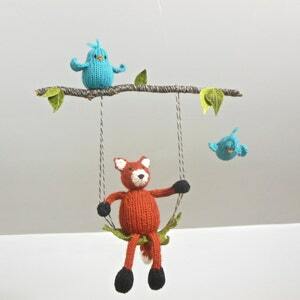 Purchased for my niece -- babies love it.